Introducing, Miss January; In Partnership with Paisley.org.uk and Pinnacle Training. Mary is fondly known to family and friends as Dancing Queen; with an insatiable desire to dance, laugh and have fun. Mary was nominated by her family, not because of her killer dance moves, but because of her undeniable strength and fortitude. Mary was a foster parent to a large number of children along with her late husband Peter McCorkindale. As well as fostering, Mary raised a large family of 6 children; late Colin, Paul, Ian, Lorraine, Shona and Peter. Amazingly, she also held down several jobs during this period and ran the well remembered Lonend Diner. Mary recently fought and beat throat cancer; with lifestyle changes, Mary received the all clear. Mary’s fortitude is also evident as the survivor of a severe house fire. She lost all belongings, and if not for trusty feline Kitty giving the warning, possibly a lot more. Thanks to local firefighters and Mary’s shouts for help, Mary was rescued and started life afresh. In recent years, Mary tragically lost her oldest son. When Colin passed away, it was as if life had ended for Mary also. It was only her undeniable strength and the love of her children that kept her moving forward. However, Mary was dealt another blow when her husband Peter passed away, and shortly after, her grandson, young Colin, son to Colin senior also. For many this would have been the undoing but, armed with a fishing rod and a pack of sarnies, Mary sought refuge in fishing. 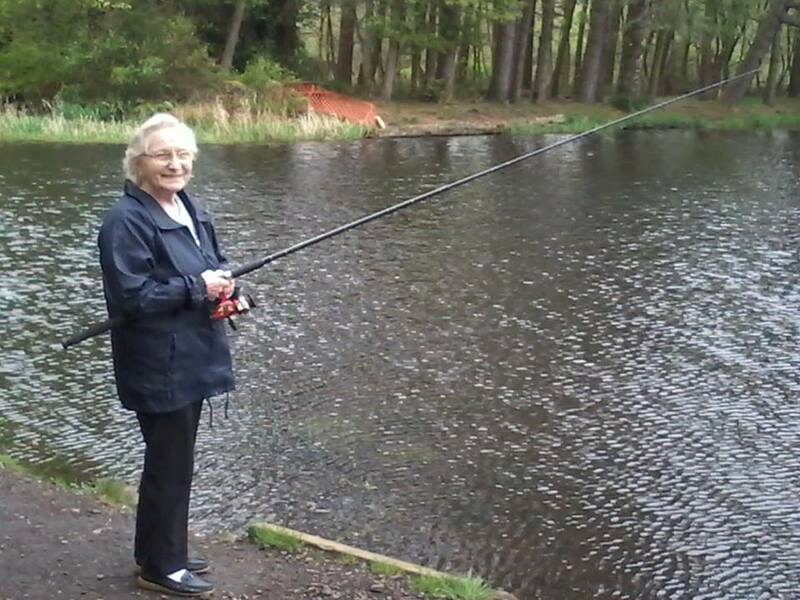 At 78 years old, and 4ft 9 inches tall, Mary is a keen fisherwoman, and often puts seasoned (and often oversure fishermen!) to shame. She has the touch; the fishies can’t resist! 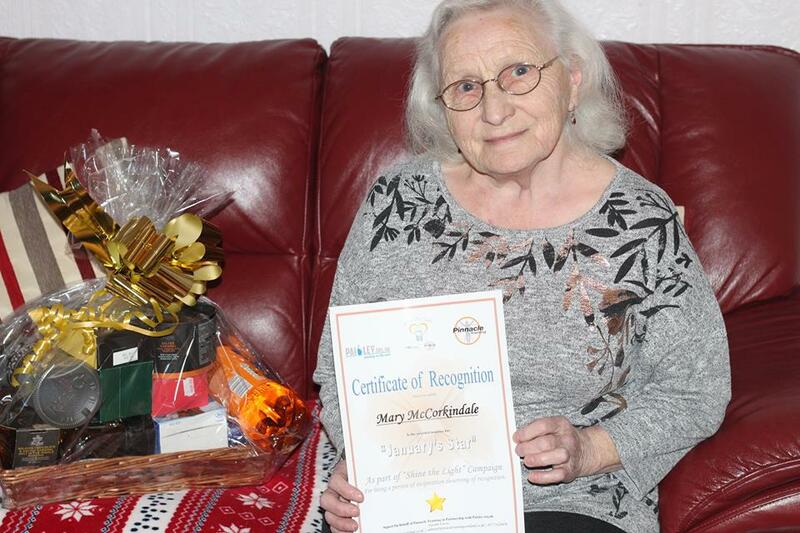 Mary is famous for not only for her dance moves, fishing skills and strength; she also makes the best pancakes in Paisley! She was also recognised in the Paisley Daily Express for her artwork. Mary is a proud woman, mother, grandmother and great grandmother. It is evident she has a family who are incredibly proud of her, her spirit, and her legend. And remember; if you have a family member or friend deserving of recognition, they could be our next Miss or Mr February!